Add the flour, sugar, butter, baking powder and salt to a stand mixer with the hook attachment and mix on low speed until combined. 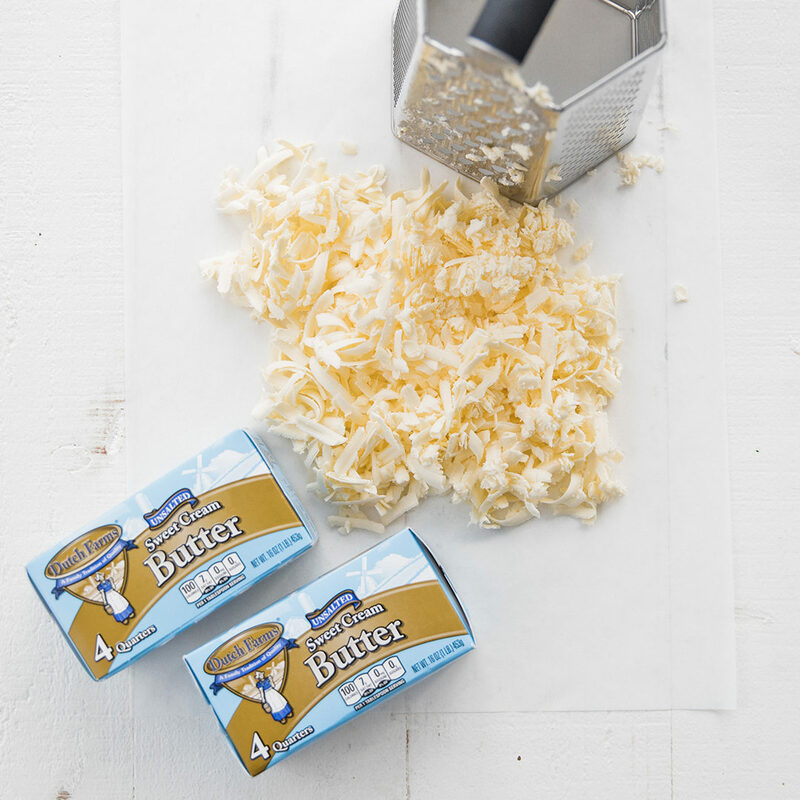 In a medium size bowl whisk together the eggs and buttermilk until combined and pour the mixture into the stand mixer and mix on low speed until a soft dough has been created. Transfer the dough to a clean surface that has been dusted with flour. 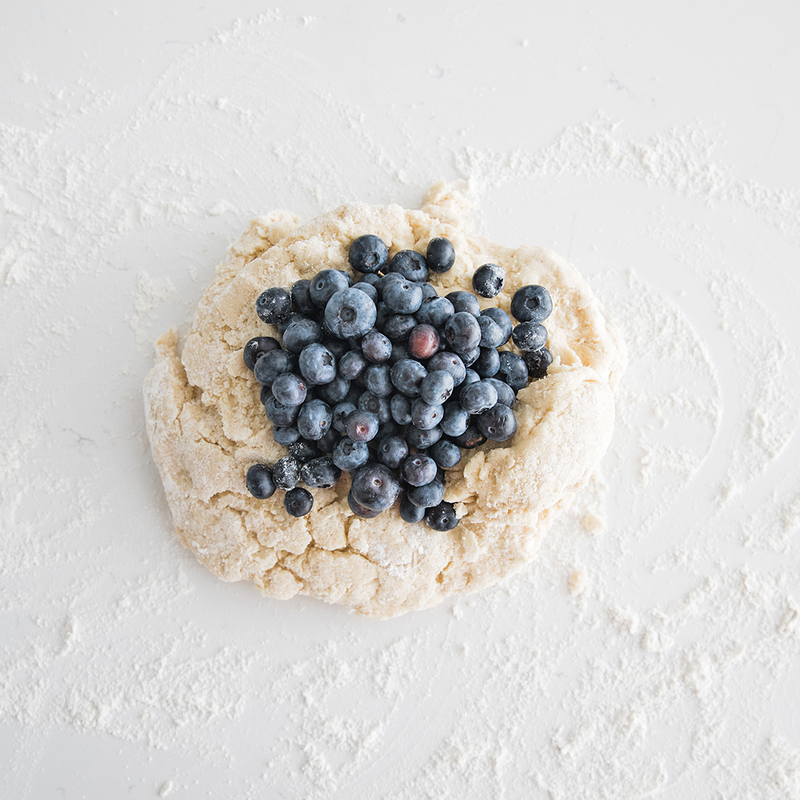 Add the blueberries to the top of the dough and gently knead them in until combined. 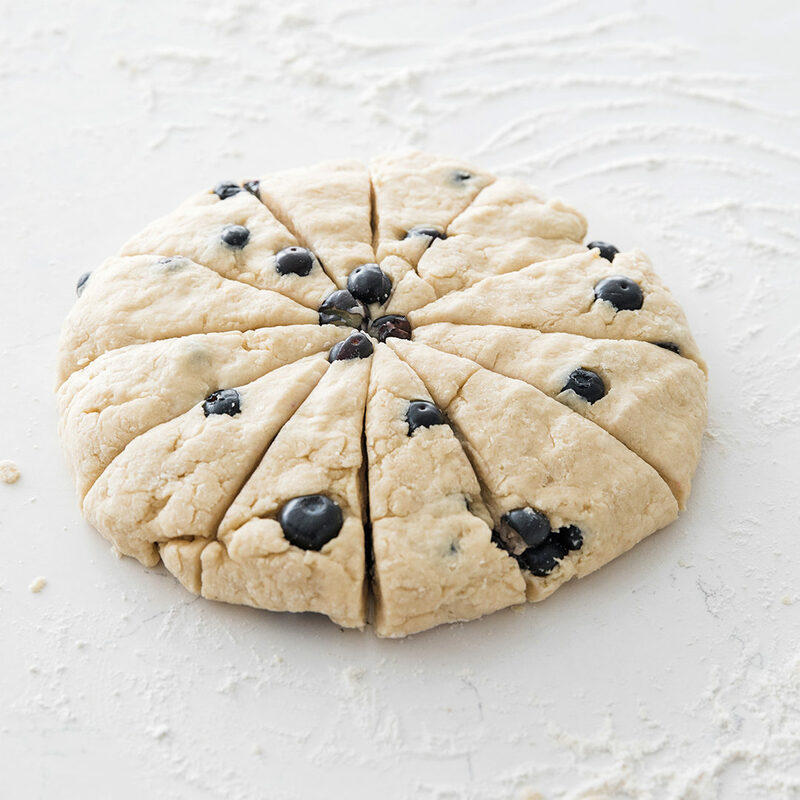 Form a large circle from the dough using your hands and/or a rolling pin and cut the dough into 16 triangles. 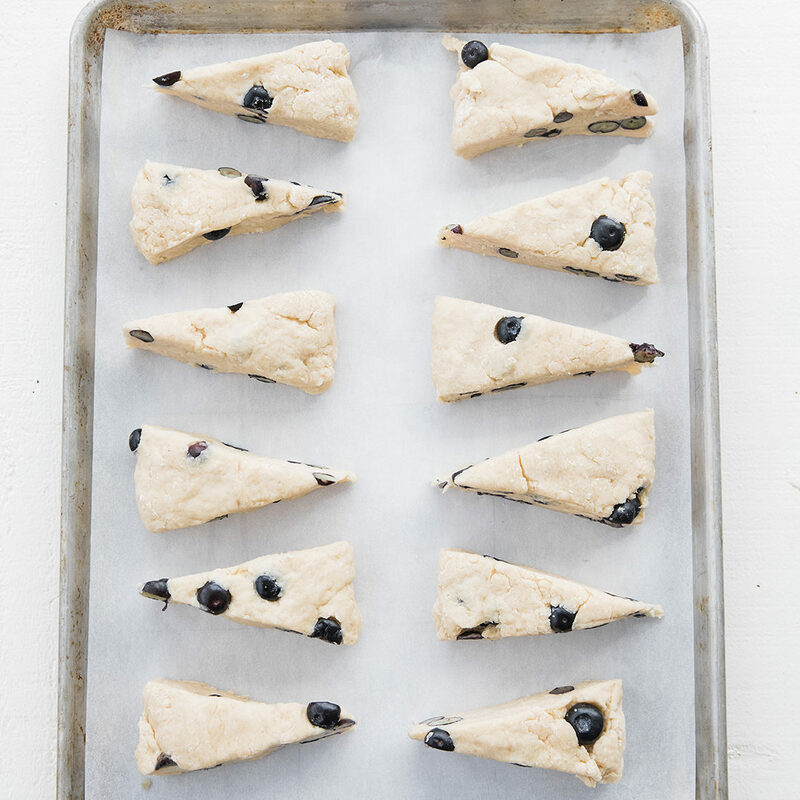 Transfer the triangles to a cookie sheet tray lined with parchment paper and bake at 375° for 22 to 25 minutes or until lightly browned on top and cooked through. 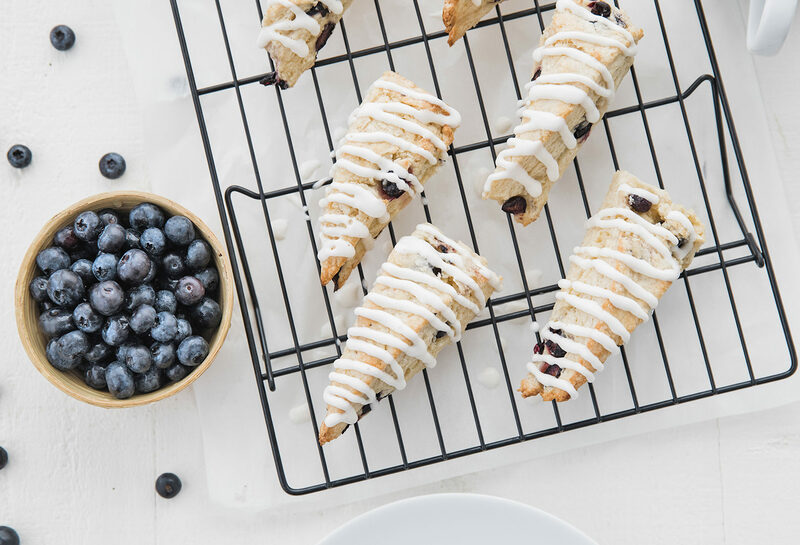 Add the cream cheese, powdered sugar and milk to a stand mixer with the whisk attachment and mix on medium speed until it becomes smooth and slightly runny. May need to add in more milk to get the consistency right. 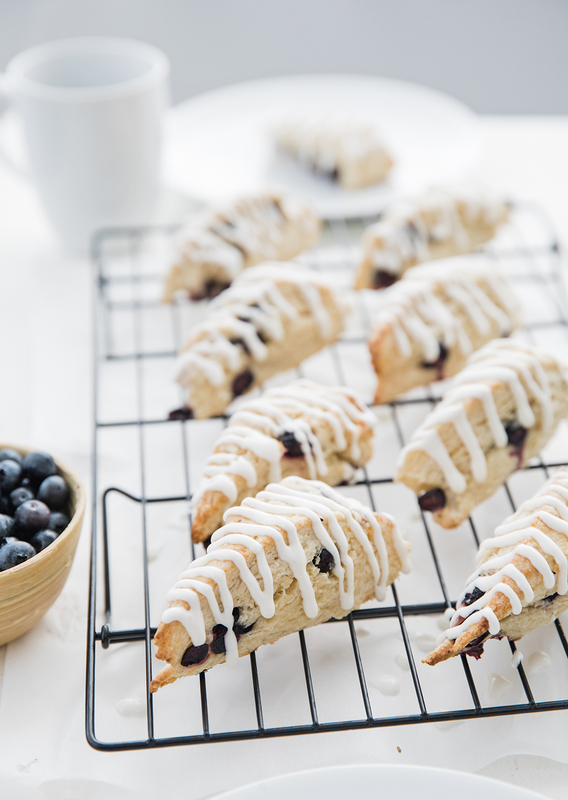 Drizzle the cream cheese glaze over top of the cooled scones and serve.